It's here, it's here!! 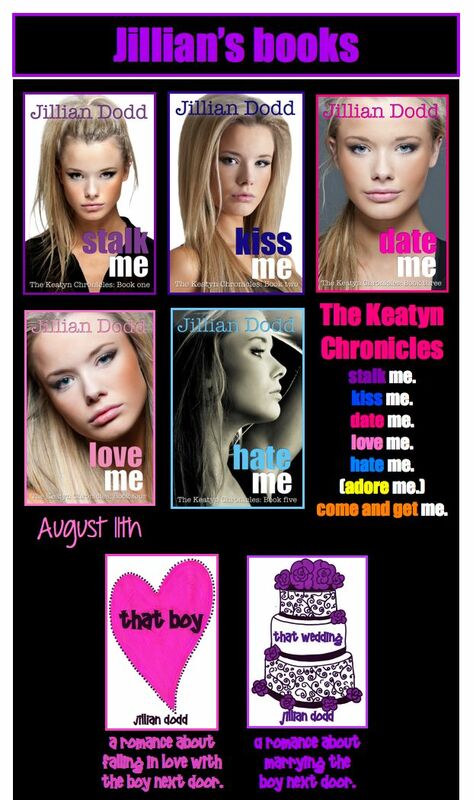 Happy Release Day Jillian Dodd! 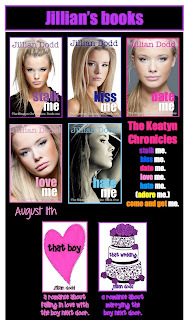 We've been waiting for Love Me, Book #4 in the Keatyn Chronicles for months and we are so thrilled to announce this 5 star read is now available for purchase. So what are you waiting for, go purchase your copy and slip back into Keatyn's crazy world. Do you love Keatyn? Are you looking for a place where you can vent about her crazy world and discuss potential Moon Boys? If you've answered "yes" to either of these questions then you need to join the Keatyn Chronicle's Boy Facebook Discussion Group. 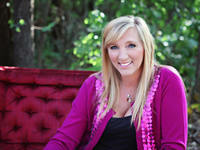 To become a member click here. Also look out for Adore Me, a Keatyn Chronicles novella covering Keatyn's time on Thanksgiving break. This will be book 4.5 of the 6 book series.